Jared Unzipped: The Absurdity Of The Solid Gold Analogue Nt NES Console. 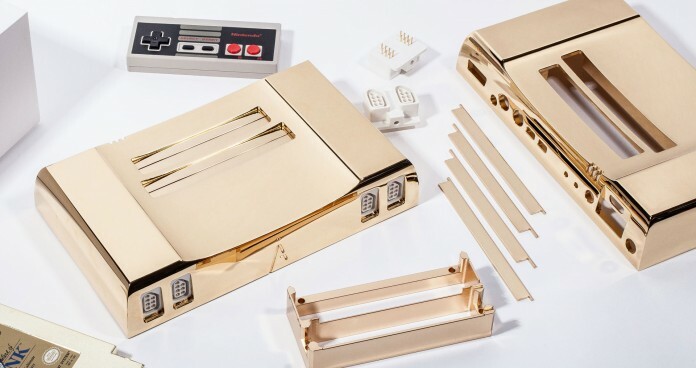 The Absurdity Of The Solid Gold Analogue Nt NES Console. As the rising tide of retro video game enthusiasm continues to roll on, we've now reached a level where some gamers (and in this case gaming retailers) are completely misunderstanding the hobby. Now available is the solid 24-karat gold Analogue Nt. This console is a modern update to the original Nintendo Entertainment System, using authentic refurbished hardware gutted from old NES units. It features high definition output, allowing you to play games designed for standard definition televisions in high resolution (though, you'll see absolutely ZERO improvement in the original 8-bit graphics). The standard Analogue Nt, which sells for $500, was already an exercise in pompous frivolity. And yet, Analogue found a way to ratchet up the absurdity factor even farther. The entire unit is made of solid gold and sells for $5,000. Only ten will be produced worldwide. It can play all the original Nintendo video game cartridges, as well as Japanese Famicom cartridges. 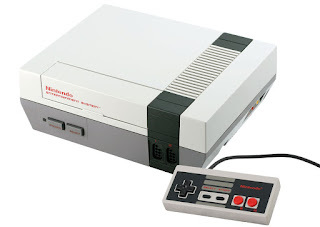 Take note -- as of the time of this writing, you can purchase a used functional NES console on websites like eBay for anywhere between $50 and $100, depending on condition. Super fast cars. Jacked up trucks. Overpowered guns. And now, the gold Analogue Nt. What do they have in common? They're all things guys with something to prove will purchase just to show off. What's so fun about spending $5,000 on a old gaming system worth $100? Good, clean, cheap fun. Just buy one of these and save yourself $4,900.